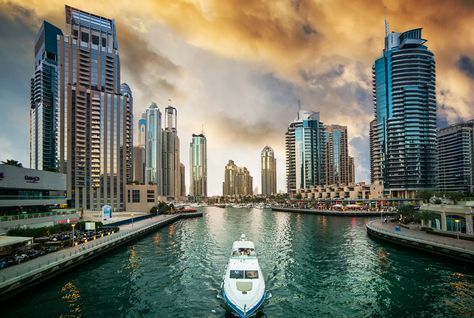 Due to price softening in Dubai’s real estate market along with Expo 2020 boom, Emirate’s property market is expected to overtake international destinations like New York, Singapore and London as the top investment destination for the GCC’s wealthiest investors next year. The findings were published in a new study conducted by Cluttons. The report revealed further that GCC high net-worth individuals ranked London in second place alongside Paris and Doha while placing Toronto at number three for international real estate investment. Cluttons Dubai Head Murray Strang said the expo’s potential for capital growth and higher yields in the market were the two most attractive features of Dubai’s real estate sector and it was due to these two factors that made investors to see a really good value for money in Dubai. In our previous reports we explained similar events happening in Dubai. Our database revealed Dubai offering rental yields as high as 7 percent in select apartment categories in August 2016. The high rental yields and the bottoming of prices in Dubai means that not only investors can enjoy good rental yields with little investments, they can also expect good capital appreciations as the prices can’t fall lower and will only increase in the years ahead. Currently, London’s property market is also experiencing slowdown after witnessing 70% capital growth over the past seven years. Another factor that may take more investors away from London is the slump in sterling value after Brexit. This is because investors who hold their wealth in dollar pegged currencies, saw hundreds of thousands of UK pounds wiped off their assets. The decrease in interest has made London’s property 34 percent cheaper than it was nine years ago.